We frequent a coffee shop that uses a goat emblem. I always call it goat coffee. In honor of my students from this week and my Dad, I’m going to write a short story for you every time I end up at the goat coffee place. Brighton nestled deeper into the prickly vines. Thorns and sticks scratched her face and hands. Gloves. Next time she would remember her rough gloves. Right. Next time she had to randomly jump into the vines on the North wall to avoid The Boys she would definitely remember gloves. Maybe carrying gloves should’ve been her go-to action all along, since avoiding groups of people seemed to be her lot in life. Brighton listened to the six retreating footsteps. There should really be seven, Brighton observed. Someone was hiding. Probably Marius. He was always working harder than the others for her affections. Give up now, she thought, while you still have half a day left to explore the world. Brighton’s breath caught in her throat. She bit her lip to keep her mouth closed. Don’t cough, don’t cough. The cough broke free, throwing her head forward into thorns, her hands back against the rock wall to steady her. Coughing and coughing and more coughing. Air seemed in very short supply suddenly. Hands reached through the vines, parting them like curtains. The hands gently settled on Brighton’s shoulders and pulled her out of the green chaos into the golden hour of twilight. She couldn’t think but coughing, her body shaking, her eyes closed. A flask of water pressed to her lips. She gulped. Heat surrounded her. She sighed. She opened her eyes to The Boys. All smiles. All aglow. All offering shy pats of encouragement and care, all ready with another flask of water, all focused on her comfort. 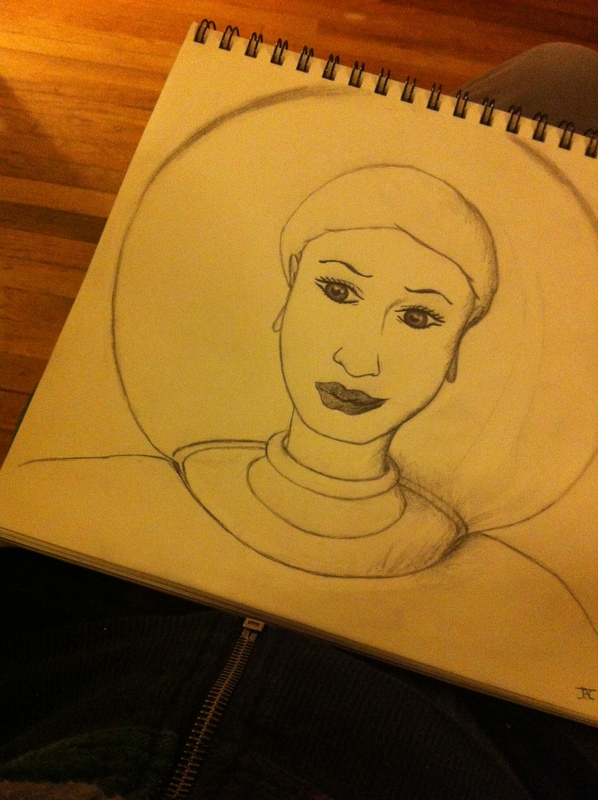 She took a deep, free breath. Closed her eyes. They only want your good, she told herself. And that’s the problem, isn’t it? “Are you alright?” Samuel asked, the chosen leader. He stood beside Marius, whose hand was still softly gripping Brighton’s shoulder. Samuel might be the speaking leader of The Boys, but Marius was definitely the bravest when it came to winning Brighton’s affections. Brighton sighed again. She offered a smile. Smiles in return. The group relaxed again, happy to be released from any guilt. They only wanted her attention and her comfort, after all. The slimmest boy, Peregrin, stepped forward to offer a handkerchief for Brighton’s bleeding face. The thorns had caught her harshly and left an angry stain of red across her cheeks. It isn’t queen-like, she thought, to hide from my own subjects. Especially when they simply want my company. Selfish. Brighton had to smile at this. The rest of her life would be leading them on adventures, as dictated by her tribal leaders. Queen. Warrior. Adventurer. “Well, let’s be off,” she said, knowing that every boy would follow her. 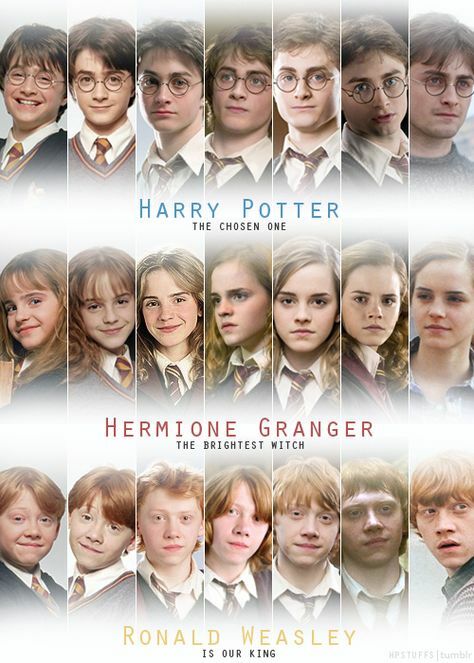 Knowing that every single one of them longed to be chosen. Knowing that no matter who she chose, she would have their loyalty until her last breath. Knowing that no matter how many vines she hid behind, none could stop the future of a Wandering Queen, even if that queen was only thirteen years old. She accepted the offered handkerchief for her face and strode away from the wall, Her Boys falling into step behind and around her. I do a lot of research for my job. I read a lot of business news on sites like Forbes, Inc; market forecasts on BI sites like IBISWorld; and world news on sites like The Guardian. I’ve gotten used to scanning Info like a demon possessed junkie and living off of the high-lights instead of truly digesting the writer’s words. Sometimes a subject catches my attention and I lose myself in the article. All reality disappears. I jolt awake ten minutes later and realize I was transported to another world. It’s unhealthy for my job. But it’s the most exhilarating experience I ever have researching. It’s been said to stop and smell the roses. Instead, I’ve been stopping and smelling the technological revolution we all should’ve seen coming, but I think we were wholly unprepared for. While Americans are still trying to sort out their mobile payments and shop online, the majority of the rest of the world is cashless and never had a credit card. The next generation may not even know what physical money looks like. They will take for granted that every purchase or payment they make is recorded. The adoption of the bitcoin will decimate some economies and create stabilities for others, maybe even countries that we view as “developing” or “third world,” such as Nigeria. The technological revolution will even some playing fields that haven’t been even since the 1700s. And in this incredibly connected global economy, we are experiencing a level of cultural transfusion that is unprecedented. Technology is not just changing the way we move capital or interpret worth or affect the global economy. Technology is creating a world culture that mirrors fictional realities such as the Star Trek universe. Connections are no longer enough. Adaptation is the future. I recently researched WeChat, WhatsApp and LINE. These are all messaging apps that connect users through text, talk, images and video. LINE specializes in offering an insane amount of sticker sending and games. WhatsApp was bought by Facebook for $19 billion dollars, one of the largest tech acquisitions in history. And WeChat is the most popular social media platform in China, where Facebook is banned and email never really caught on. Each of these apps is starkly different from the others, even though they were all created to do the same thing – connect users. WeChat is now an all-purpose eCommerce platform that allows users to pay for taxis, pizza, doctor’s appointments and more. LINE has created an entire merchandise base including TV shows based on their user-created stickers. And WhatsApp continues to offer no interruptions and no adds, free for life. Each one is based on a distinct culture. And each one is striving to be globally adopted. I’m sure you know what that means at this point. We’re looking at a global culture that seeks to unite individuals through technology, and those individuals are making the decision for unity themselves. The technological revolution is self-motivated and looks like it will result in the largest nation in history. Empty white tables. 9 students shuffling in, at least 3 of them super early for class, and at least 3 of them walking in about a minute late. The teacher, a distinguished man with an uncanny resemblance to Tony Stark, sits at the side of a large white board hanging on the wall in front of the pressed-together tables. The students settle into their normal spots – when you only have to deal with 8 other people, keeping your sacred seat is easy. The majority of these students are graduate students in writing. The rest are split up between undergrads in Communications or English. Let’s be clear: No classmate ever bullied me or said anything malicious in the entire 2 years I attended that school for my Bachelors. Or, if they did, it was done in such a way that I didn’t take it as an insult. But I was very shy. And, for the sake of reality, I am a little bit short of normal. Class starts when Tony Stark begins interacting with the students. He’s fairly informal, but it’s clear that he is in charge, has a plan, and knows what he is talking about. Today is a criticism day, so the format of class is already known to the students. Basically, the first 10 pages of a student’s script are going to be dissected in front of the group, shredded to bits with choice words and “feedback” and then left for dead out on the cold, white tabletop. How do you break a filmmaker? Enroll them in a screenwriting class and let the games begin. Here’s the drill: each student has 3 months to finish writing a feature film, a short film script or a TV series script with a full series bible. Since I always worked on a feature screenplay, I won’t waste time explaining the other two concepts in this post. A feature film is typically between 90 to 120 pages. It must adhere to script guidelines, which are very specific, but if you have Celtx or Final Draft the program has your back on most of that formatting. Script formatting is not something that the teacher devised to ruin your life, though, as opposed to other scholarly guidelines. Script formatting is in place to paint the pictures of your story into the heads of every person on the production crew. By refusing to follow script formatting you are not making a statement about your individuality, you are giving the potential director, cinematographer, set designer and a host of other people a headache. I wanted to be a professional screenwriter, so I always worked on features (that’s not a commentary on short film writing – generally shorts are harder). I took screenwriting 4 semesters in a row, in addition to other writing classes. The first semester was the easiest, in a way, because I don’t think we actually had to complete a full feature for that one. Now, imagine this, you have 3 months to write at least a solid 90 pages of workable script. After the first 4-6 weeks you have to have something to be reviewed in class, because your classmates and teacher are there to help you become a better screenwriter. So you write and you write and you write. And those weeks fly by until it’s the night of your work, and everyone has been sent the first 10 pages of your script. As Tony explained, if you haven’t created all the expectations and set-up in the first 10 pages, you better revise. So me, shy me, introvert me, I bring copies of my script to be read aloud in class. And when the dust settles, all the prose and dialog finished, I stare down at the white pages with black print in horrified anticipation of the reactions. Agreement surrounds me. I wait, patiently, the blood pumping out of my heart, as Tony Stark continues, his words carefully chosen for maximum punch. The descriptions are falling flat. The characters are too cartoony. Motives are unclear. The environment is difficult to grasp. The plot is too complex. By the end of the class period I’ve nodded and thanked everyone for their feedback, and I stand awkwardly to gather all of my things. The 9 file out, but I’m waiting til the last, not even a Hobbit in their fellowship. My work of the last month has been reduced to a few lines of a concept, and every bit of my soul that I poured into those 10 pages is withered and gasping, a fish that survived the Pelican, but was dropped on the dry beach to breathe itself to death. There will always be a time for constructive criticism, but the surest way of breaking a filmmaker is to show them what that really means. But in the breaking, that filmmaker will be re-made. And the new creation will be far better than the one that was broken. I left that night, and I contemplated giving it all up. Maybe I wasn’t meant to be a screenwriter. Maybe I wasn’t meant to be a writer. Maybe this was my sign to stop killing myself and become an FBI agent instead. So I went home. And I rewrote that whole script. And I let them tear it apart again. And I signed up for the next semester of direct hits from the man who made billionaire status cool again (or his look-alike anyway). Because this created better scripts. And no matter how hard they broke me, this filmmaker never gave up. Because writers write, filmmakers make films, and we do it all the better when we listen to constructive criticism and refuse to give up. Last week I didn’t post because it was my birthday. This week I’ve written 2 posts and saved them as drafts because they are a load of waffle. And waffles get eaten, not shared. Who would you call, anyone living or dead, if you could? 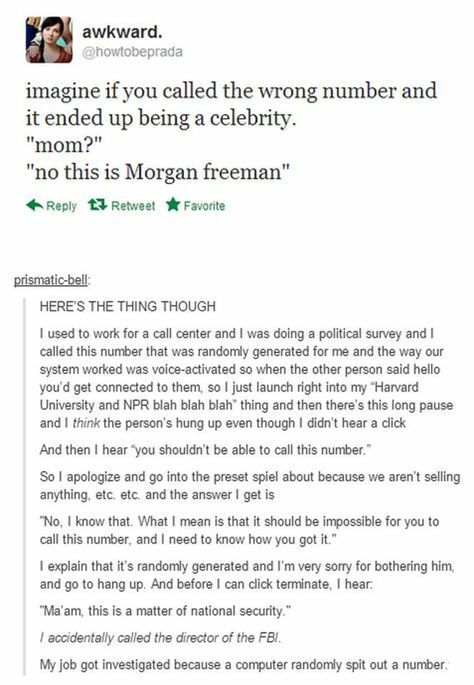 What would you do if your phone randomly called the exact person you never wanted to hear from again? What if that kept happening, every time you dialed your phone, until each person you fear/hate/cry over is given the opportunity to speak? What if we stopped placing our happiness, desires, fulfillment in unreachable, unknowable celebrities and met real, tangible people who might call us back after a wrong number? What if the FBI was someone you could call, someone you could trust, someone like Steve Rogers (Captain America) who gave his all to protect the weak, the small, the underdogs? When I was 11 and carried a notebook everywhere, people wondered about me. When I still did it at 14, people asked, “What’s with the notebook?” And I told them I was a writer. 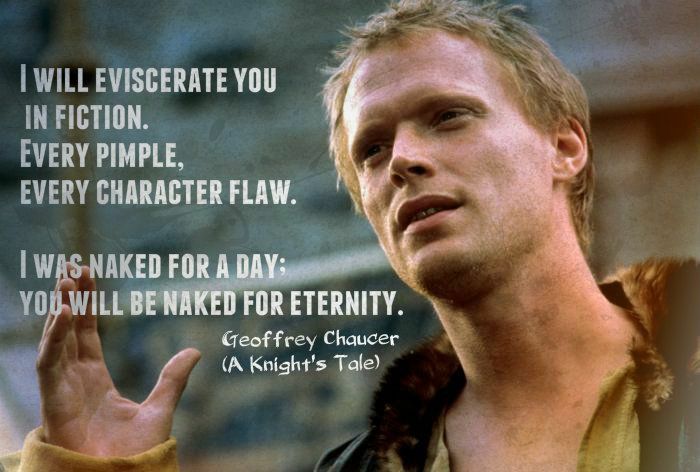 Behave, Geoffrey Chaucer actually did eviscerate people in his writings. Who do you think provide the best character ideas? Real people. But, I always kinda thought that writing was about giving humans somewhere to escape. I didn’t write to tell the truth–like journalists are supposed to do (hahahahaha). I wrote because I wanted a new truth. And I never expected that writers should be this outstanding example of good grammar. Most of the writers I really loved as a child and even now don’t follow a lot of traditional grammar rules. 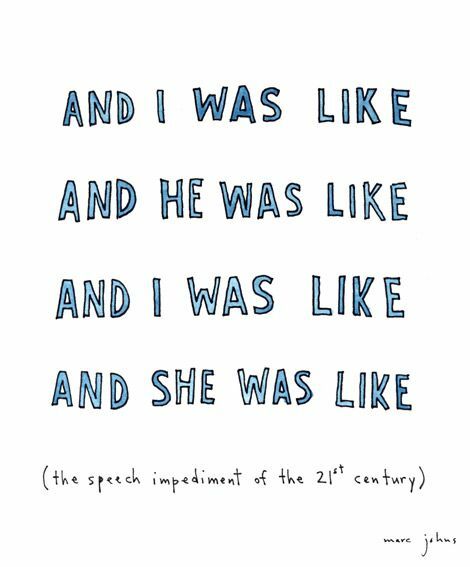 What this Marc person claims as a speech impediment is actually a more effective method of communication than that which he snobbishly holds in esteem. Languages, ones that are spoken today all over the world, are living, breathing things. They change. They have to. Communication is constantly updating. What do we call a picture we take of ourselves that has to be posted in a social networking setting? How do we say that a book or story is so good at getting our emotions over-flowing that we run out of words to describe it? What do we call the scent of rain when it stops? 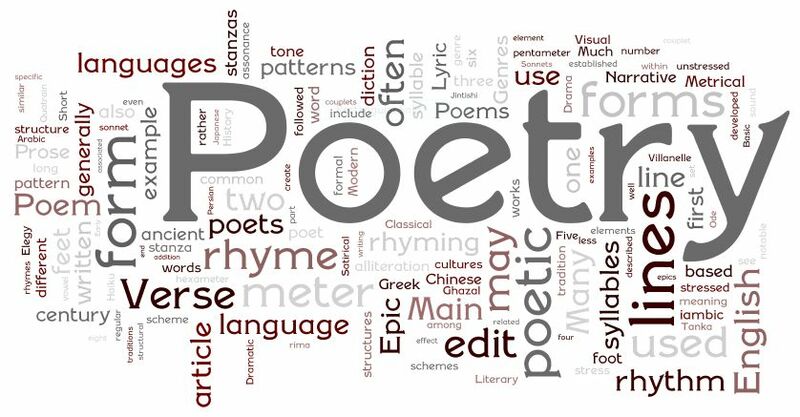 More writers make up words than correct grammar usages. I hope. Neil Gaiman isn’t the only person to create a firestorm after coining the above word. Language is about getting information across, even if that means we make up a better way to understand each other. The next time someone complains about the addition of “selfie” to the dictionary, say, “Precision of language,” and walk away. They’re obviously not that interested in communication. Here’s a new thing I’m starting. Rants. On things I find randomly on Pinterest. So. 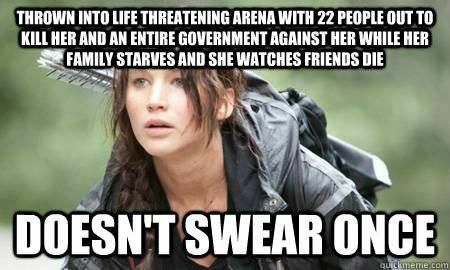 I guess it has come to the attention of the Internet that there is little to no swearing in the Hunger Games trilogy. Apparently this bothers people. I guess that’s because in current American culture a huge group of people believe that the only appropriate, human response to pain and suffering is swearing. 1. A lot of people swear. 2. A lot of stuff is hard to express in any other way than swearing, especially in a short amount of time. 2. Katniss is a woman of few words. 3. Panem ISN’T modern America. And believe it or not, not every culture swears. 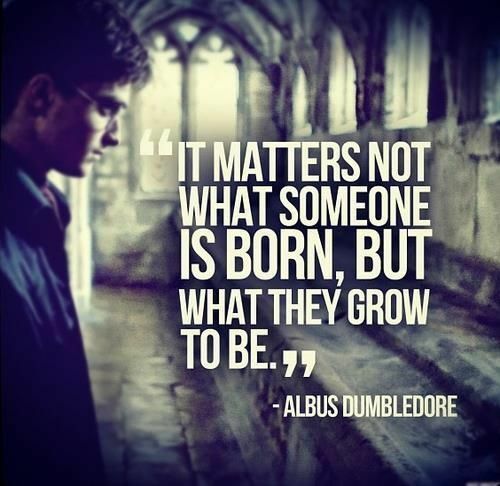 Potter fans, please realize that I have a deep respect for J.K. Rowling, her stories, and her accomplishments. Let’s talk about this idea of a “best seller” first. What, dear people of the Internet, is a best seller? Is it a book that sells so well that the author is commissioned to write sequels? One that is so beloved and bought that movies are made from every single book in the series, and those movies go on to become giant blockbusters? Or is a best-seller a book that lasts for decades and makes an impact not only on the readers, but on the market and storytelling in general? The Hunger Games, the Harry Potter books and the Twilight series did and are doing ALL these things. They are ALL best sellers, in every way. Why is it ok to belittle a successful author? Why is it acceptable to hate a person who worked just as hard to create a world, a story and a series as another author? Why is that same author’s work derided when she ends her books happily? And, if the Potter books are about friendship, loyalty, sacrifice and true love, why don’t the readers practice these things? Let me tell you the beauty of the Twilight story, from someone who watched the movies. Twilight is about a normal girl, someone who has nothing going for her except a pretty good dad. Somehow this girl, who isn’t even very pretty, has no talents to make her noticed, isn’t incredibly smart and doesn’t have any experience with real life, catches the attention of a man who is far older, wiser, smarter, prettier and more accomplished than she is. Instead of running from him in fear, she faces the one person she should never have attracted and begins the greatest con I’ve ever watched. She keeps him interested in her until (epic spoilers) he is forced to turn her into an immortal, powerful, beautiful, alluring creature with little equal in the world of humans. She is suddenly everything she wasn’t–accepted, accomplished, pretty and with purpose. 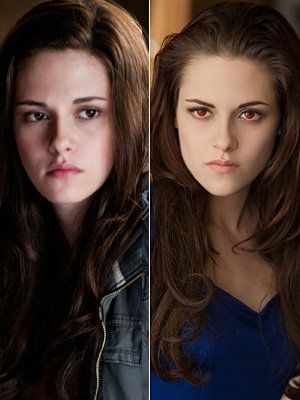 If you listened closely to the last movie, Bella says, “I suddenly knew what I was supposed to be all along.” And you realize…. Twilight wasn’t telling a love story at all. 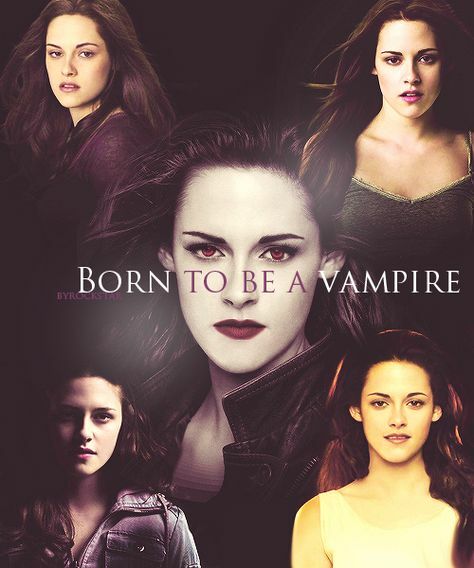 Twilight was and is a story about an ordinary person who fought her way into extraordinary. Now let’s talk about Mr. Potter, the king of the nerd reader world. 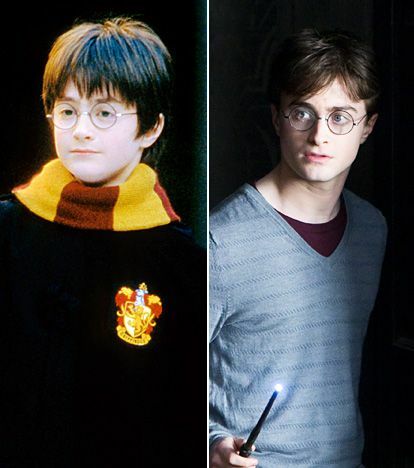 Harry begins life as an extraordinary person. He is hailed as the defeater of the most powerful wizard ever. He is taken to a school for wizardry and every semester he uses his extraordinary skills as a friend, a wizard and a warrior to fight evil. He always prevails. Has he suffered much? Yes. Has he lost much? Yes. But in the end the story of Harry Potter is about an extraordinary boy who did extraordinary things in the face of terrible opposition. We are not wizards, those of us who love the Potter books. Most of us are horribly ordinary people. And yet we scoff at the Twilight books and hail the Potter books. 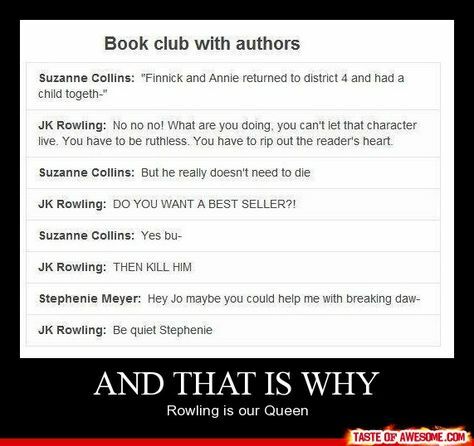 Both J.K. Rowling and Stephenie Meyer gave us gifts. They told wildly different stories, but they showed us the same thing: people can achieve extraordinary things, no matter the opposition. Both of them shouldn’t have become millionaires, the odds were stacked against them. But they worked hard and took the literary world by storm. Even if you don’t like the Twilight books, or maybe you’re one of those Potter haters (you better not post on the Internet–I think it will instantly kill you), have a little respect for a person who prevailed in spite of the odds. Maybe you hated their work, but that’s all it is in the end–their work. No need to attack the person. A friend of mine is an English major. She is an excellent poet. Her influence, along with my brush with Shakespeare the other week, challenged me to try my mind at a poem. Please don’t read this thinking I know what I’m doing. I don’t. I did my best to follow the instructions and example listed here. This person knows what they are talking about. Well, I hope they do anyway. I wouldn’t know either way. Here’s my first try at a sonnet. The dark material comes naturally to me and has nothing to do with reality. Where have you hidden the burns of your sins? In bottles of jade like the dreams of saints? 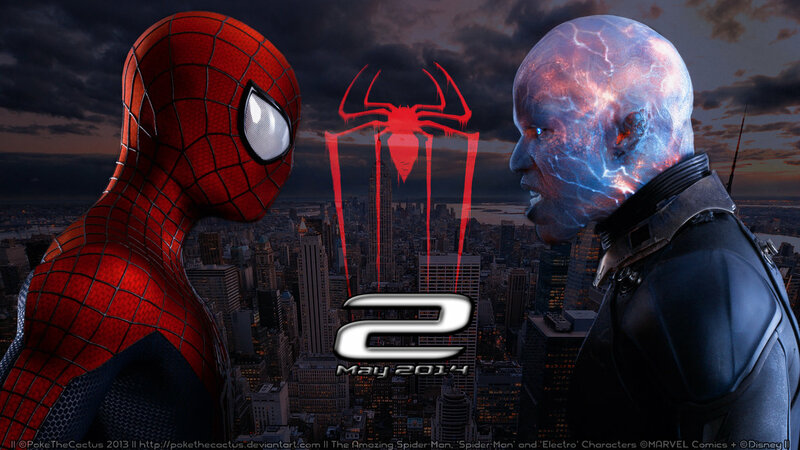 I saw The Amazing Spider-Man 2 on Saturday. For those of us who are versed in the comic books and/or the animated series, the intensity of this film came as no surprise. The references to the comics and series were special, funny and fitting. The suits, acting, action, visuals, characters…pretty much EVERYTHING, made sense and was good. Great even. So why isn’t this movie getting good reviews? The writing team behind this film wrote the new Star Trek movies. All those emotional nuances and layered characters beloved by audiences (including me) are back in this totally different film. How Alex Kurtzman, Robert Orci, and Jeff Pinkner were able to transfer all that writing strength into the super hero genre is beyond me. They are geniuses. Not surprising that the person who links them is one of my favorite people, J.J. Abrams. Why am I talking about Spider-Man when it has absolutely NOTHING to do with my creative project this week? Because it’s a fantastic movie. It’s really good. But it won’t make you feel that good when you leave. It’s not like walking out of the door after The Avengers or Thor 2 or Captain America. The people in front of me sobbed rather loudly during the film. But just because it’s not a totally feel-good movie doesn’t mean it isn’t awesome. That’s my opinion. Let me know what you think of the film when you see it. 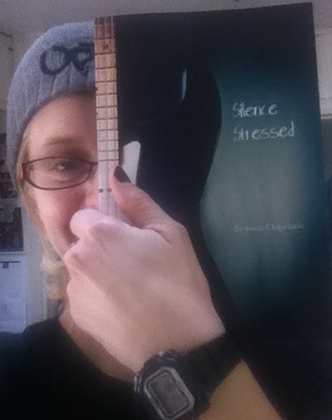 My project this week was a book called Silence Stressed. I’m guessing at this moment that you’re double-checking the title of this blog. Yup, same name. I wrote this book a few years ago. 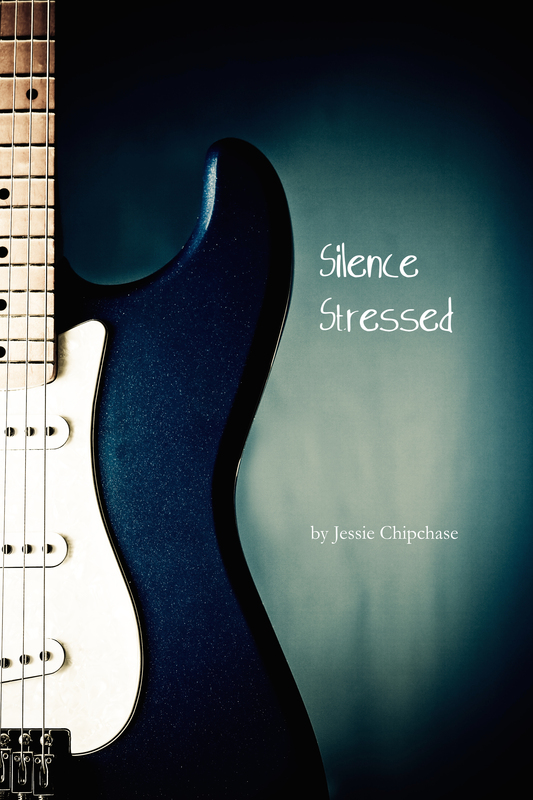 I’m finally moving forward to self-publishing it through a company called CreateSpace.com. The proof came in the mail this last week. I spent the week proof-reading. It’s all set now. It’ll be available on Kindle soon too. It’s about a girl who gets caught up in a lie, a band, a drummer and a bass player. It’s about stupidity, growing up, writing. It’s about young people and music. It’s about rejection, choices and moving on. It’s not my life story, but I did write it. As always, feel free to comment with suggestions, ideas and projects of your own! You thought that maybe I wasn’t posting this week. That maybe I chickened out or got distracted or wiped out on my longboard. 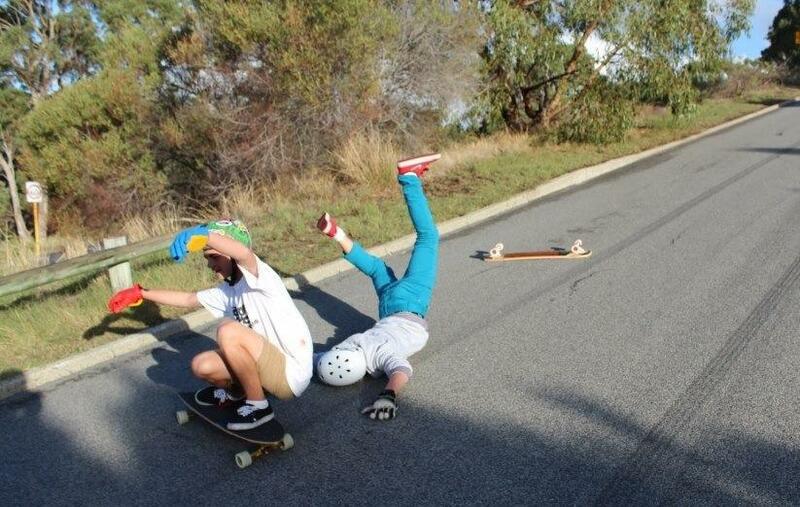 Well I did wipeout on the longboard, (that’s not me though ^). But I’m fine. Like him, I know how to land dramatically. This week I decided that the world, you actually, needed a bit of an introduction into the art of writing for the media. I work for a company that creates commercials and web ads (also other things media related), and I’ve trained extensively in writing. I guess you could call it a strength. So I wrote a TV ad this week. I’m really fascinated by the ads that are able to tell an entire story in such a short amount of time. The ads that at the end you almost want to clap or cry because in those brief moments you were able to see into the human experience in a funny or touching way. Yesterday the Superbowl brought us a Budweiser ad about a puppy who is best friends with a Clydesdale. Some of the group around me found this ad very sweet. I’m sure that the makers thought that this would cause sales to go up. 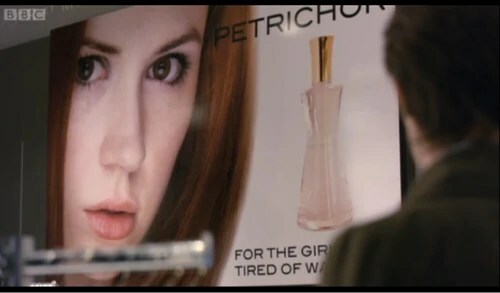 (I thought it had creepy subliminal messaging contrary to the song in the background.) Why did they create this ad in the way that they did? Well, let’s chat about that. Fact #1: Ads exist to cause people to spend money on the product. Fact #2: Ads are supposed to be geared toward the specific people who might want/need the product. Example: diaper ads are usually geared toward women between the ages of 18-35, who are pregnant, or just had a kid (or adopted). I say usually, of course. How do you get people to take notice of your particular product? First you find out who wants/needs it. If I’m a gourmet coffee company, who drinks gourmet coffee? This isn’t the moment where you get judgy. Generalities are just what they are–generalities. It is accurate to say that most people under the age of 14 don’t drink coffee. So I’m not likely to write a commercial to entice 6-year-olds to drink my company’s coffee. I choose to market my coffee to adults between the ages of 17-35, who might be skaters, hipsters, artists, careerists and dreamers. * Okay, now what? What do those people like? What do they value? What do they relate to? Who do they relate to? These questions will help me as the writer determine how to craft my ad. Because I know a lot about this “category” of people (I’m in it), it’s easier to imagine what they will or won’t like, and the images to which they will relate. Of course, I also know that this group of people is EXTREMELY diverse. I could write a funny story, like the Allstate commercials with Mayhem, or the Budweiser ad with the chainsaw man. Or I could go for beauty and realism, like the Honda commercial about how today is pretty great. There’s a lot of options. But as long as I know my audience, I can move forward with my idea. One of the harder parts of writing ads is the length. There are different venues for ads now, which allows some companies to expand on the length. Like Hulu. Hulu ads can be 90 seconds long (or longer), which is on the long side of advertising. I like them for that reason–they can tell more of a story. I had trouble making my ad short enough and still conveying everything that I wanted to convey. It’s about 90 seconds long, and I bet it could be edited shorter if it needed to be on TV or in front of a Youtube video. If I make it this year, I’ll post the results. Until then, here’s a mock ad that I made. *Just because an ad is geared toward a certain audience doesn’t mean that it won’t appeal to people outside that audience. The special thing about the Superbowl Budweiser ad this year is that it seems to appeal to a much wider audience than they usually go for. Keep this in mind when you write your own ad. This was a very weird way to start my 52 weeks. Firstly, I have an eye-infection that brought me a lot of pain the last few days. Had to go to a doctor and everything. That was very unexpected. Never had one of those before. Don’t start copying me, ya’ll. It’s not as fun as I’m sure I made it sound. 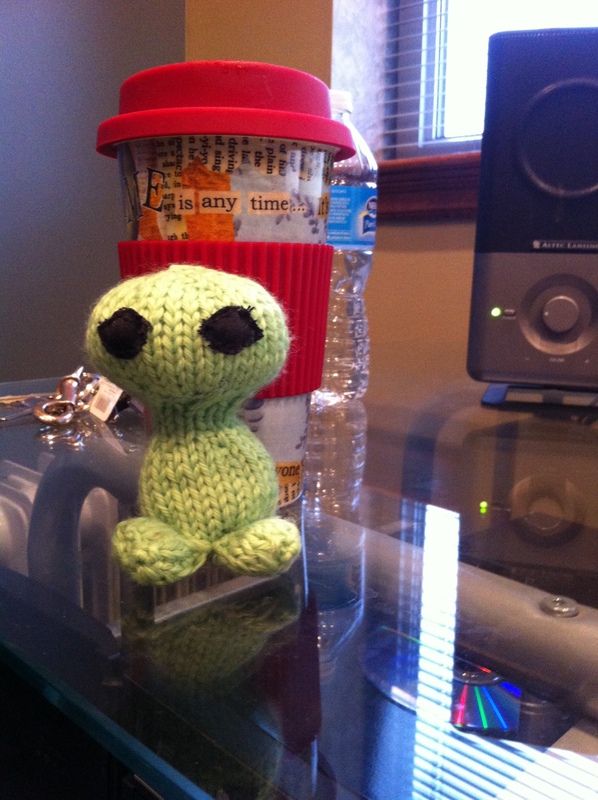 Secondly, I picked a creative project that I have never done before. 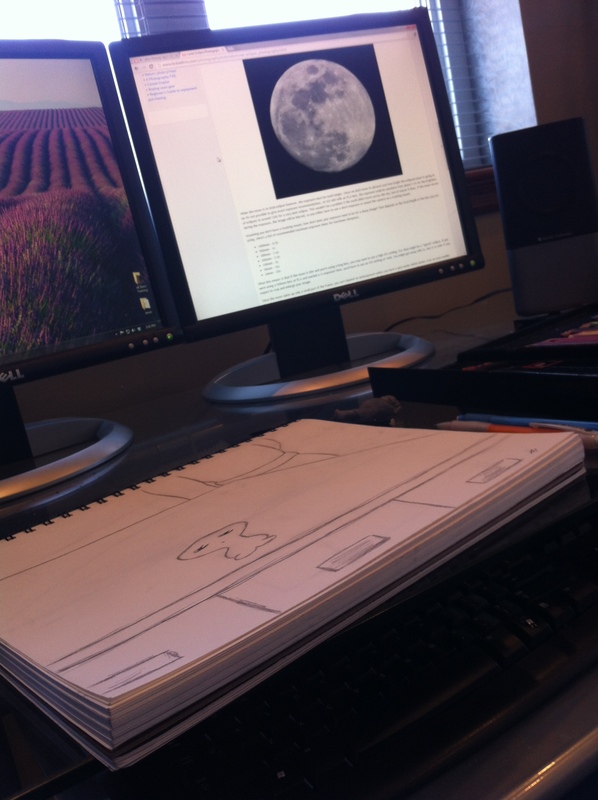 The goal was to write and illustrate a children’s picture book. 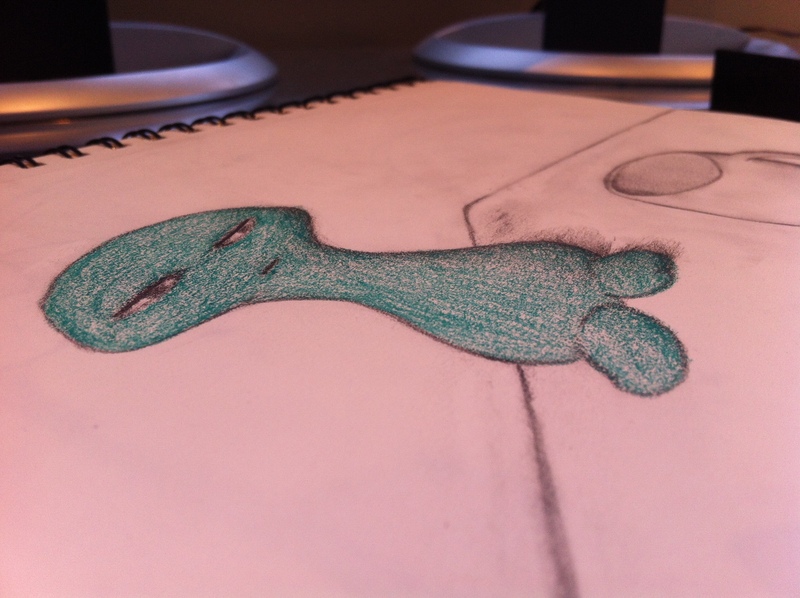 This required the conceptualizing and drawing of over 19 pictures, partially colored. At the end of all this madness, I realized that designing a complete children’s PRINTABLE book was beyond my ability and software ability at the moment. 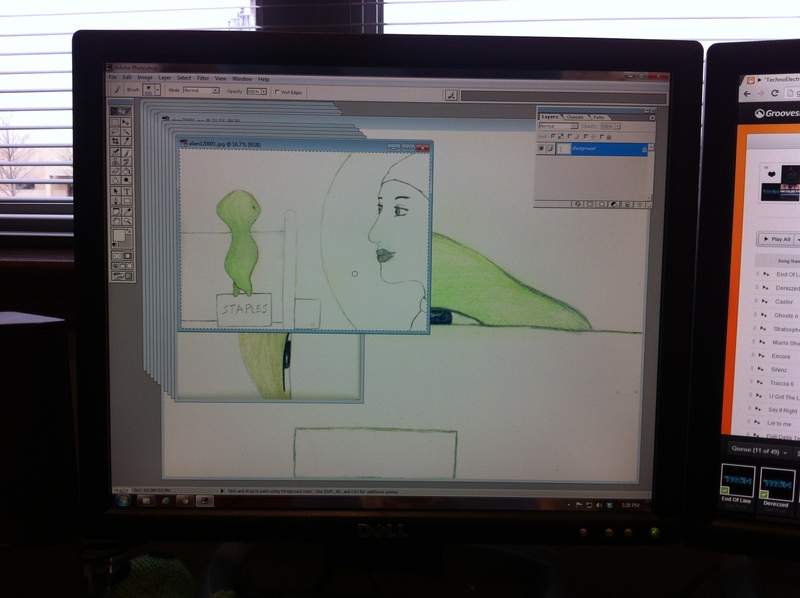 So I settled for a sorta comic-book, internet-illustrated story approach. Some people may have a lot of experience with photoshop for this kind of thing, but I didn’t. I didn’t even know how to import a picture into a separate project file. 1. Must finish by 12am on Sunday of the week. 3. Must post by the following Monday. 4. May work with others on any project. 5. May work in area of expertise, as long as the project still offers a degree of complexity. Inspired by and dedicated to my cousin, Sarah. Thank you for Markus.